Explore the deep south of America, in the fascinating city of Atlanta. Crammed with a rich history of African America and the American Civil War, Atlanta is an extremely intriguing and often disarmingly beautiful place. Aside from its rich history, the city itself is host to some large sprawling malls, and some tourist attractions that will satisfy even the pickiest of well-travelled backpacker. If you're looking for something to entertain your youthful side, the cool suburb of Five Points is well-known for catering for the university and college crowds. Hipster-esque vintage book stores and 'cool' cafés and bars surround you on either side of the road, with stylish restaurants only a few bus stops away in the upmarket area of Peachtree road. Atlanta is the 7th most visited city in the USA, and for good reason - the city's culinary scene attracts international attention and praise, the Botanical Gardens allows tourists to take a stroll on the skywalk, exploring one of the country's last urban jungles. 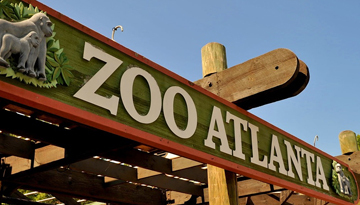 The Zoo Atlanta is home to more than 1,300 animals, and the annual film and musical festivals are renowned world-wide for their superb quality. 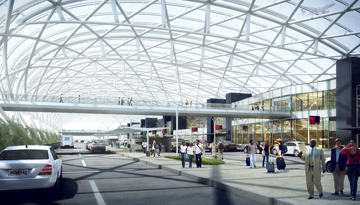 Ebookers offers cheap flights from £539 departing from London to Atlanta. Book Now! 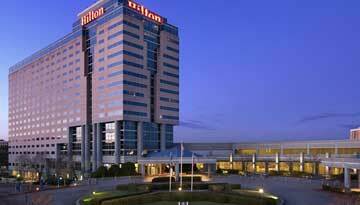 Choose Hilton Atlanta Airport Hapeville hotel to experience a memorable 4 star stay. Fly from London Gatwick - Atlanta & Stay for 3 nights with 4 star accommodation. Include Bed & Breakfast.